Keep those pearly whites shining with regular maintenance! 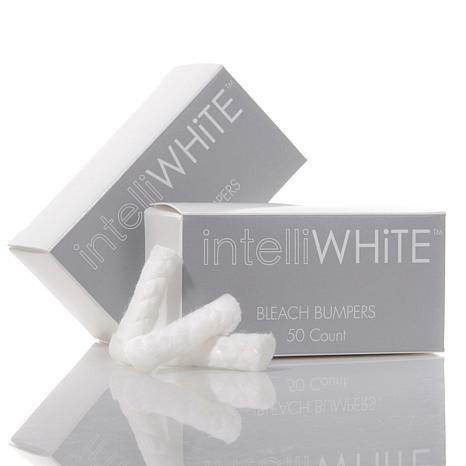 Cotton bleach bumpers are an important part of your tooth whitening tool kit. They're for one-time use and help intelliWHiTE do what it's made to do — keep your smile bright. 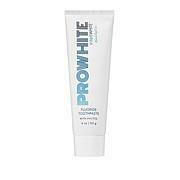 I've been using the whitening product that goes with these bumpers and have been VERY SATISFIED. Intelli White is the name of it. Really good product and these bumpers work realy well. What can I say IT WORKS and is easy to apply. Great ,just wish they could figure out a way to use without those horrible cotton things for mouth ,very hard to keep in place ,that's why I have t bought more ,another brand has a nice mouth piece to use . I'm glad HSN offers these! I tend to drop or do something that causes me to be unable to use some from the original box which came with the product. Having these so I can use more on the top and bottom, as well as for those times when I've done something which causes the original to be unusable means I've got spares. Love them!